Downtown Denver is a 15-minute drive. Customize your new home w/ your design colors. Build your new townhome w/ BLVDWAY in theestablished, desirable, Sundance Reserve at Lambertson Lakes. DECEMBER/JANUARY 2020 approximate close date. Enjoy the maintenance free living,community pool, hot tub, workout facility, playground, lakes, & trails. Walk to shopping & dining. This end home offers an open floor plan,w/ a large spacious kitchen, two bedrooms, three bathrooms, small yard, & a one car oversized attached garage. 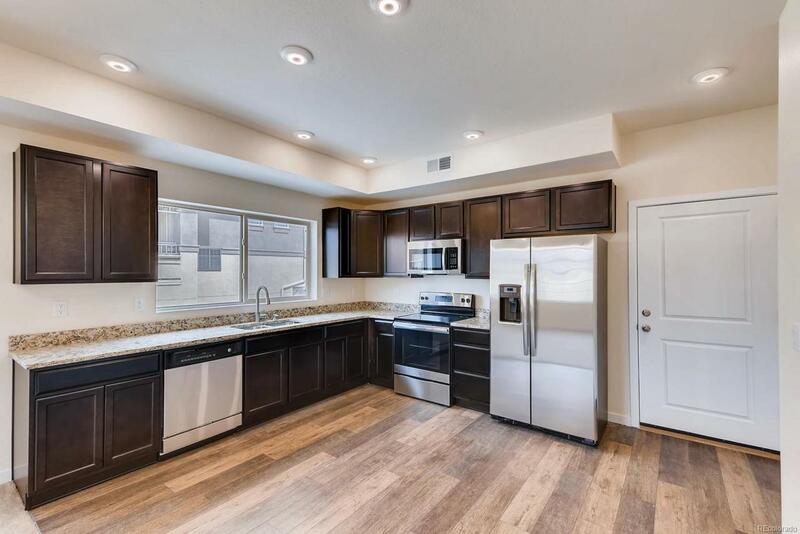 Home includes granitekitchen countertops, stainless steel appliance package w/ engineered hardwood floors, tankless water heater, & a builder warranty. Easyaccess to I.25 & North Metro Light Rail (coming soon). DIA is a 25-minute drive, & Boulder is a 30-minute drive. Currently no model, pleasecall to set up an appointment. $5,000 Preferred Lender Incentive,$1,000 Deposit w/ No Money Down. * Pictures are representational only,not of actual home.